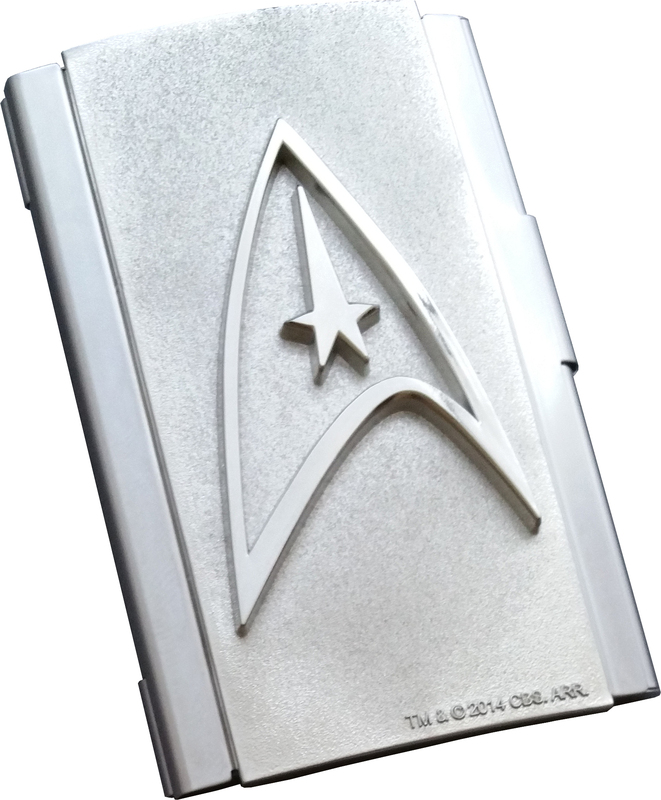 Proudly display your allegiance with this iconic Star Trek® business card case! Made of high quality metal and emblazoned with an embossed Starfleet Delta Shield, you’ll be ready to take on the Romulan Empire or negotiate a peace treaty with the Klingons! Live long and prosper! 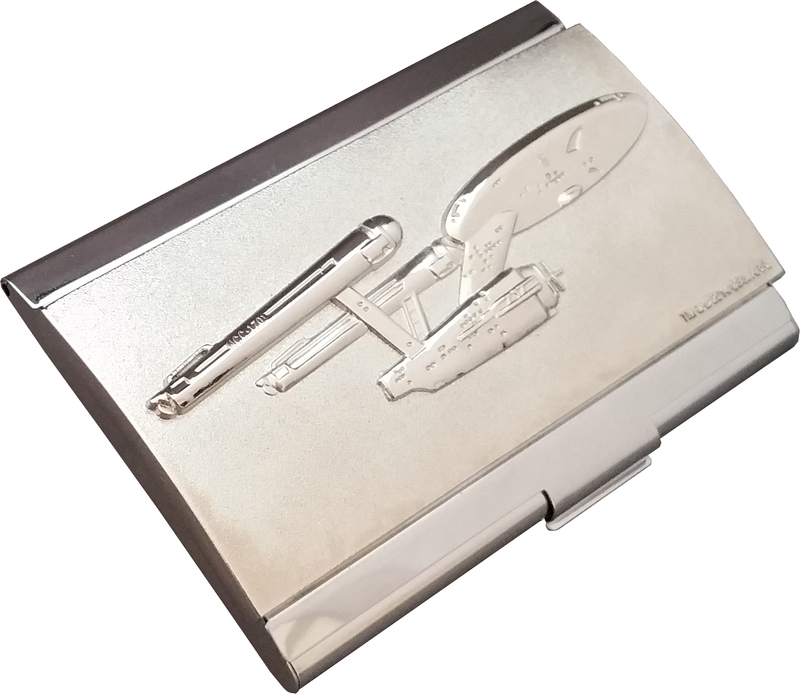 Boldly go where no one has gone before with this incredible Star Trek® business card case! Made from high quality metal and embossed with the Enterprise NCC-1701, your clients and business contacts will know that you are ready to beam up to any challenge! SRP for each business card case is $30 and they are due out 2nd Quarter 2015. You can pre-order them now at BigBadToyStore.com.